RDS was founded in 1973 by Principal R.J Perrott. Initially opened as a Ballroom and Latin American Dance School, it quickly gained popularity for its fun and informative classes. Over the years the school has continued to grow and develop. The school's main aim is to combine high quality class content with an enjoyable teaching format. Its teachers all share a love of dance and a passion for teaching, performing, choreographing and competing. We pride ourselves in being up-to-date in our expertise with continuous formal development for our teachers and good connections with other dance schools both locally and nationally. The dance school is accredited by the 'National Association of Teachers of Dancing' (NATD) with whom we run our examinations and teaching qualifications / training. Aside from our regular classes we run many events such as workshops, social dances, dance holidays, parties, presentation evenings and more! As a school we have proven to be very responsive to the ideas of our students and are always updating content, classes and events. 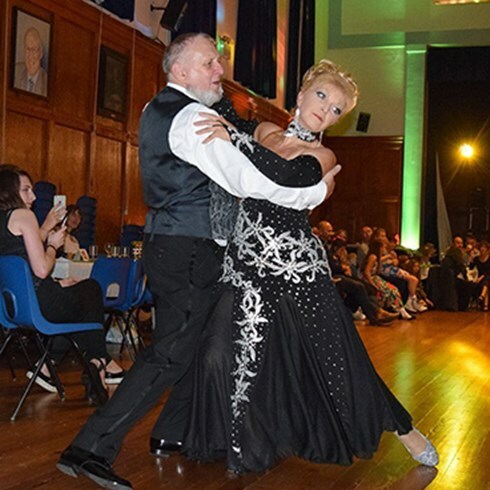 I qualified as a dance teacher in 1963 with the IDMA dance organisation, which became the IDTA in 1968, and spent the next ten years dancing competitively and winning top international awards in Ballroom and Latin, while working as Area Dance Manager for Courts School of Dancing. 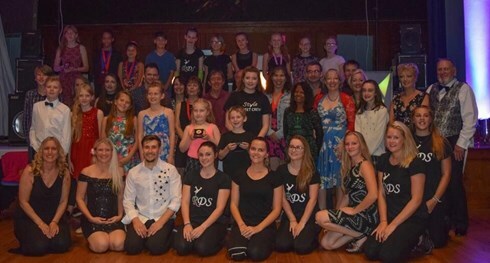 I opened Rodney's Dance School in 1973, teaching children and adults of all abilities. In 1976, I qualified with the prestigious NATD. I enjoy teaching dancers of all ages and levels and am motivated by the improvement of students and the fun of the classes. I have been dancing for over 40 years. I originally started dancing in 1970 with Old Time (Sequence) and then Ballroom and Latin American, achieving 76 medals. I have been involved with teaching in various forms since 1974. I qualified in Freestyle/Disco with the ISTD in June 1989 and Latin American Dancing with IDTA in March 1991. I joined Rodney’s Dance School during the Summer of 2010 having researched a number of options within the area and have been made very welcome by everyone here. I am currently working towards a teaching qualification in Ballroom. I pride myself in teaching a standard of dance suitable to the individual and have achieved excellent results with past medallists. I am keen to teach theoretical elements to the dances to enable greater understanding and allow the student to achieve their full potential. I have been dancing with Rodney's Dance School since I was 6 years old and teach Ballroom, Latin American and Street dance styles. I fell in love with dancing when taking Disco exams and competing with the school in the1980s. Having worked for over 20 years in banking and recently moved to education, dancing has always been my outlet from a busy and demanding work life. I am passionate about teaching as I feel like dancing can be a great 'get away' for all who take part. I like to think dancing is for everyone to enjoy, it's great fun and I couldn't live without it.